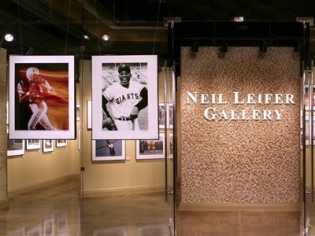 If you like sports or photography, then the Neil Leifer Gallery at Caesar’s Palace is going to be your favorite entertainment destination. You will recognize his work from magazines such as Sports Illustrated, Time and People. There are not many art galleries in Las Vegas, let alone free admission galleries. At the Neil Leifer Gallery in Caesar’s Palace, you will find timeless photos of sports from all over the world by this famed artist. Leifer’s portraits have graced popular magazines such as Sports Illustrated, Time, People and many more. While touring the gallery, you are bound to see a portrait that you recognize from a moment in sporting history. Not only can you see Leifer’s work at the gallery, but some of his photos are also on display in the Poker Room. Prints are also available for purchase. Located on the casino level of the Augustus Tower. If you like sports or photography, this is quite the place for you. I made a lot of great purchases when I went. I’ve followed Neil’s work for a long time, and checked out the gallery in Caesars. I was quite pleased to see it showcased. Excellent work.